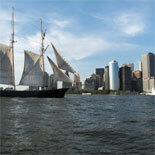 Step aboard the Clipper City Tall Ship Jazz Sail and enjoy a Live Concert Cruise around NYC. 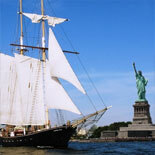 Bring out the romance with this intimate and soul inspiring way to visit New York's magnificent harbor at night. The Statue of Liberty with the moon and cityscape reflected on the water is not to be missed. See the world's most famous skyline light up the night on the Clipper City Tall Ship Jazz Sail. Sit back and relax while you listen to live jazz and take in views of the breath taking Manhattan Skyline. The hustle, bustle and noise of the city turns to the sweet, cool rhythms of bebop, smoky blues, ballads and other jazz standards. 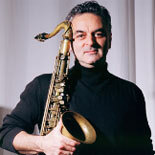 Acclaimed jazz guitarist, Joe Cohn, joined by accomplished saxophonist, Avram Fefer, leads a swinging quintet. Joe will be joined by a variety of other well-known guest musicians throughout summer, booked by Jazz Standard founder, James Polsky. A full bar is offered. Bring food and have a romantic picnic, as you sail smoothly out into the summer night. Experience the magnificent backdrop of NYC's skyline all lit up and live music that touches your soul. The Statue of Liberty with the moon and cityscape reflected on the water makes a beautiful memory not to be missed! 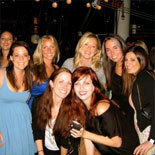 For an evening full of beautiful memories, make your reservations now, get your eTickets and come aboard the Clipper City Tall Ship Jazz Sail for a Concert Cruise on New York City's Harbor. 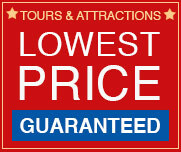 This tour is seasonal and operates on Wednesdays from June through Sept 15 @ 7:00pm. Child's age: 12 and under. Reservations are required at least 48 hours in advance of desired sail and strongly recommended one week in advance, as sails sell out quickly. * You must have your boarding pass with you in order to board the Clipper City. *Call in to re-confirm departure time (the number will be on your eTicket). In the event of a cancellation by the captain due to severe weather or mechanical failure, guests will be given the opportunity to reschedule at no additional fee. If you need to reschedule your sail, there is a 48-hour notice policy. Call in anytime before then and they will reschedule you at no extra charge. 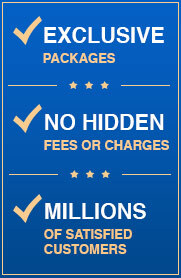 A 10 dollars per passenger surcharge is required for a reschedule within 48 hours. New York Harbor is one of the most protected waterways in the world, so generally speaking seasickness isn't much of a concern. However, some people are more susceptible to it. They recommend taking Dramamine (or any similar over-the-counter motion sickness drug containing dimenhydrinate). Keep in mind that Dramamine takes about two hours to take full effect so if you are taking them on board, it is too late. Ginger capsules have also been found to be helpful. The boats are handicap accessible. Wheelchairs can come right aboard. *Dress comfortably and in layers. It is usually cooler out on the water than on shore, especially in the evening.